Melvyn Bragg discusses politeness, the revolution in manners that transformed the social scene in eighteenth century Britain. Melvyn Bragg and guests discuss the idea of Politeness. A new idea that stalked the land at the start of the eighteenth century in Britain, Politeness soon acquired a philosophy, a literature and even a society devoted to its thrall. 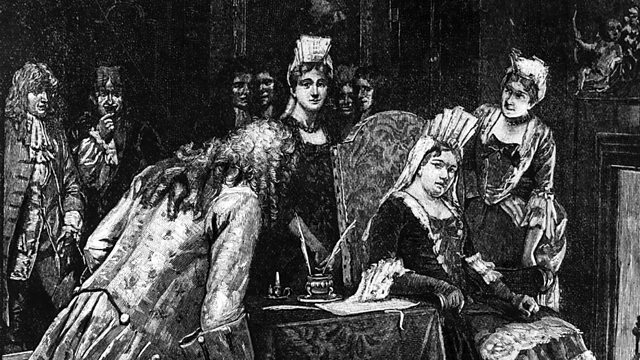 It may seem to represent the very opposite now, but at that time, when Queen Anne was on the throne and The Spectator was in the coffee houses, politeness was part of a radical social revolution.How did the idea of politeness challenge the accepted norms of behaviour? How did a notion of how to behave affect the great wealth of eighteenth century culture? With Amanda Vickery, Reader in History at Royal Holloway, University of London; David Wootton, Professor of History at the University of York; John Mullan, Senior Lecturer in English at University College London.